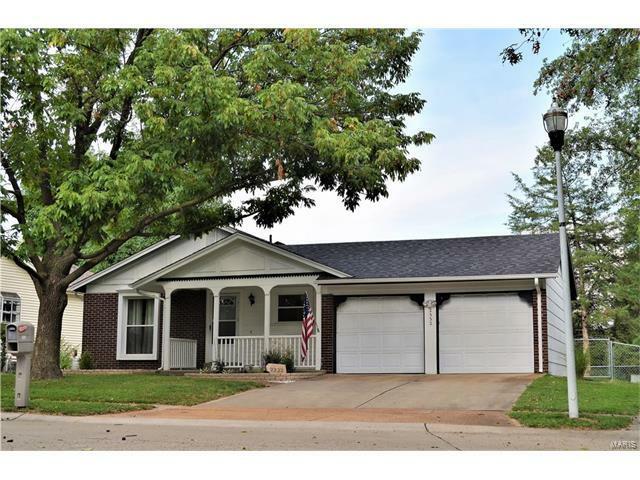 It is a pleasure to see this pretty one story, move in ready, 3 bed, 3 bath home. The open floor plan begins with an inviting living room which flows into the dining area that connects to the cook’s kitchen which features stainless appliances including a just purchased whirlpool fridge and granite counters. Sellers added a door in the kitchen for access to the two-car garage. Upstairs baths were updated in 2016 and the en-suite has a stunning shower. There is a new glass door that leads to the patio and fenced yard. The lower level is fantastic—fully carpeted it has a family room with a wet bar and a second room that can be used for an office or for guests with a full bath and barn doors for privacy –all updated in 2016, including the glass block windows. Located in a very family friendly neighborhood and around the corner from the new Maryland Heights Rec center and close to the subdivision pool. In a great location, this home is perfect for today’s lifestyle.